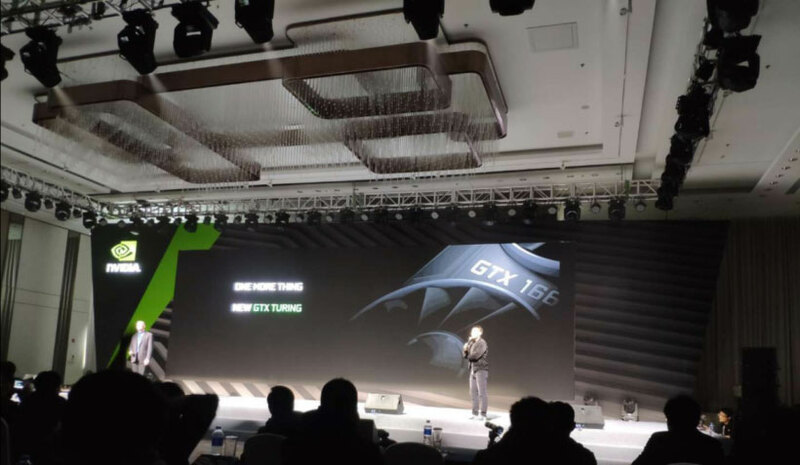 A number of new rumors surrounding Nvidia's alleged 1660 Ti graphics card have appeared online and their frequency and urgency suggest that the green team is set to launch a new mid-range GPU in the next couple of weeks. To start with, a number of 1660 Ti graphics cards from different manufactures have shown up on a few Russian retail websites. They include an MSI Gaming X and Armor OC version of the 1660 Ti, and a pair of Palit cards: the StormX and StormX OC. These cards come equipped with a 1,500MHz base block, while the OC versions of these cards reach 1,770MHz when boosted. That's in excess of the RTX 2060, as PCGamesN points out, though these cards appear to have fewer CUDA cores: 1,526, versus the 2060's 1,920. Other details suggest that these cards will be based on a 12nm process, like the other Turing GPUs and will feature the same 6GB of GDDR6 that the RTX 2060 has. The fact that these cards appear ready to go, further suggests hat they will be ready on launch day, so we may have a few different options (and potentially price points) to pick from beyond the Nvidia Founders Edition, when the 1660 Ti debuts. Whenever that is. Another piece of evidence that suggests an impending launch is that official support for the rumored 1660 Ti GPU core, the TU116, has been added to system information gathering tool, AIDA64. Other rumors have pointed to a February 15 launch for the 1660 Ti for a price of $280.